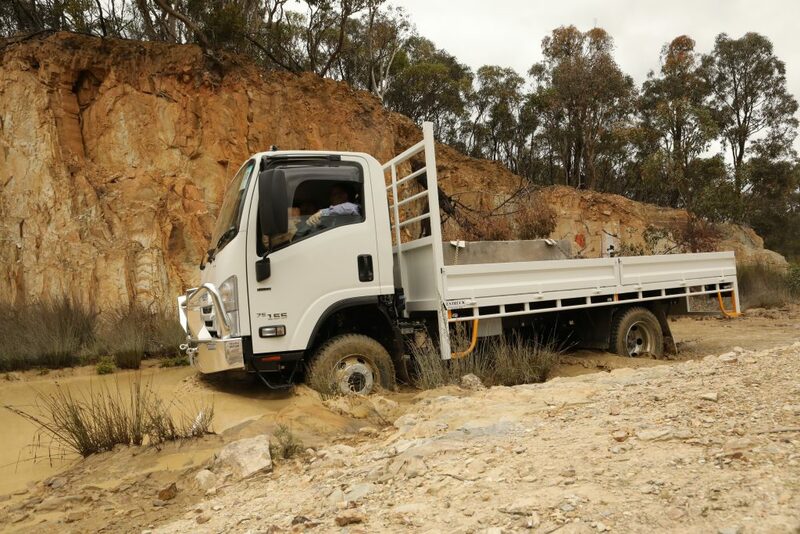 The day kicked off with an outline of the key improvements to the range, most notably independent front suspension (IFS), availability of two-pedal automated manual transmission (AMT) in 4×4 models, a new in-cab multimedia system, and two engine and emission control options. 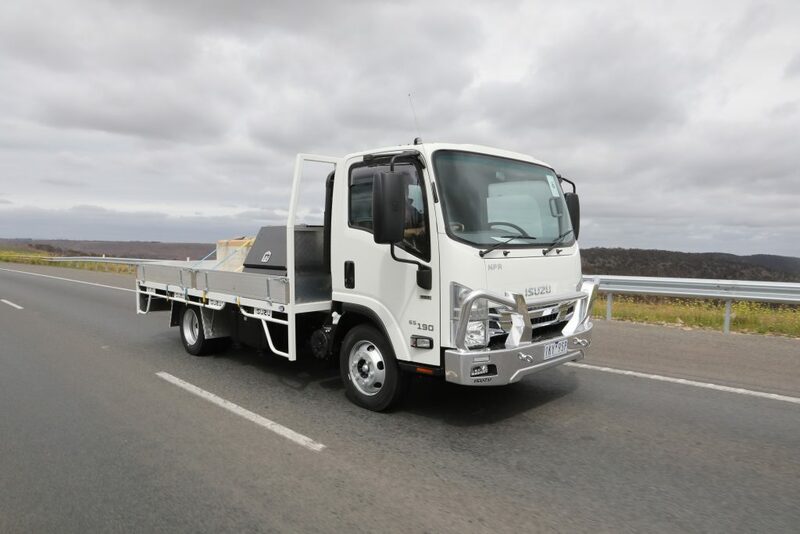 “Our 2018 N Series model range provides more of what Australian truck customers are looking for from the market leader,” IAL director and chief operating officer Andrew Harbison says. 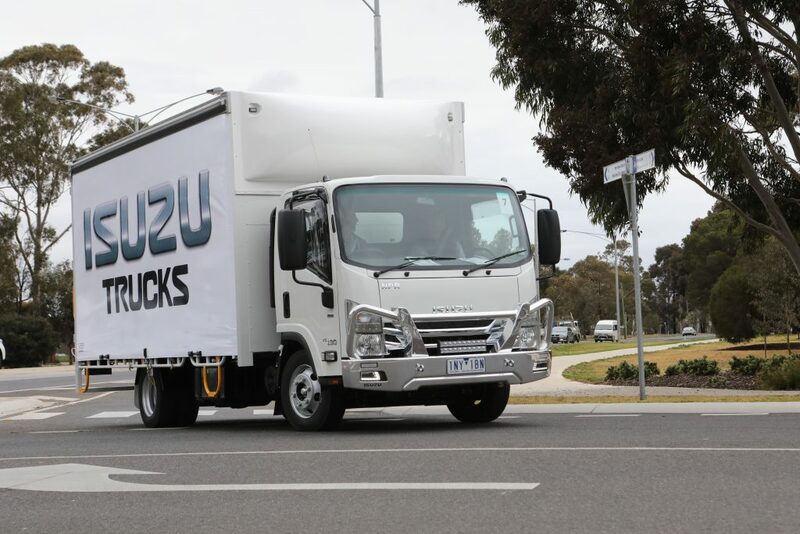 “We feel that the 2018 N Series release is a study in what has kept Isuzu at the top of the Australian truck market for the past 29 consecutive years,” he adds. “With most of the NNR line-up, we’ve moved away from a more rigid leaf spring set-up over to an independent coil spring assembly, which is designed to improve ride quality and handling, while still able to support a decent payload,” Humphries says. “AdBlue and SCR systems are the norm and we will eventually have to go that way, but we want to make hay while the sun shines,” Humphries says. The off-road component of the drive saw us crawl the NPS 75/45-155 4×4 AMT models into the Lerderderg State Forest to tackle some of the more technical fire trails on offer. 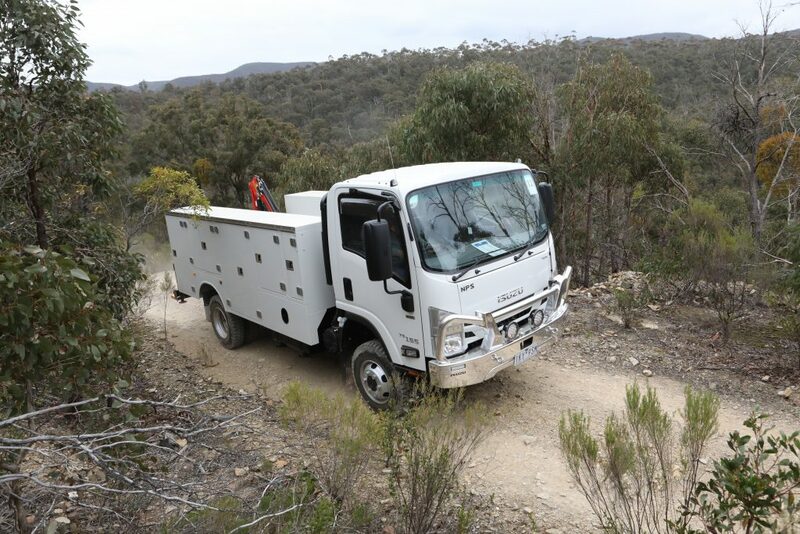 Isuzu claims this to be the first ever two-pedal light-duty 4×4 truck on offer in Australia, which makes the already popular NPS an even more enticing emergency service, mining or remote field service vehicle choice. 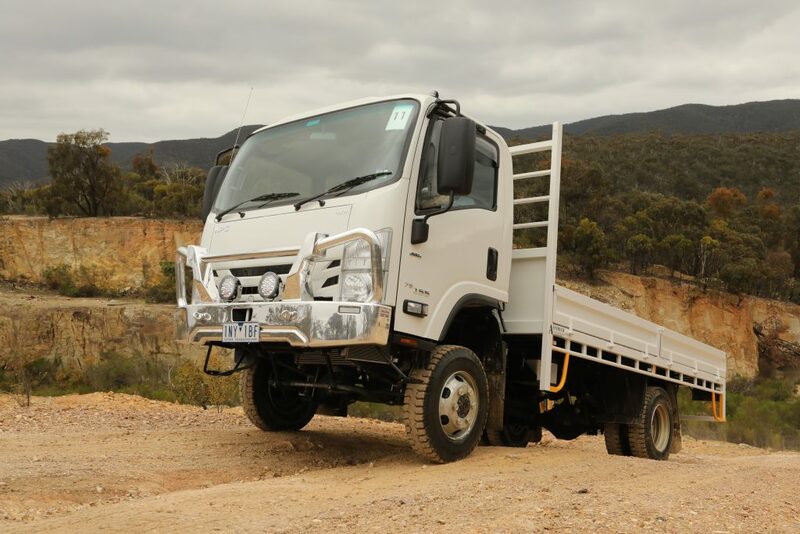 “I’m pleased to say that our own in-house projections are pointing towards an all-time record in 2018, with the market on track to break the 40,000-heavy-vehicle-sales barrier for the first time ever,” Taylor confirms.